For November Notes the song is “Words as Weapons” by Birds. I’m combining with NEKNEERAJ of MindLoveMisery’s Menagerie Photo Challenge Prompt. Try to rationalize her curves. But to math and science she’s absurd. And you can’t make a person a logical equation. Nor is she a kind of Cosine, Sine, or Tangent Angle. But your words like swords will never cut to her core. And you can’t measure those. Their quantitative value is beyond this world. She isn’t found in Trigonometry or in quadrilaterals. Nor any philosophical math or logic. Can’t you let that be enough? So what if her face is symmetrical? To have Passion in the here and now. Perhaps quality is a better goal? There are other ways to show your love. In the midst of a freezing winter. Her love beyond equations and perfect values. She is your summer in the bitter cold of life. Flash Fiction for the Purposeful Practitioner: No Piano Mom. But you force me every week, no! My piano playing, will never go far. Ignoring your wince when my fingers stumble and fall. I want to play soccer and run. A hero who saves people, maybe Spider-Man? I don’t like math or piano you see. My typing is fast; in my stories, witches cast spells. I like to read; I’m quicker than other children. I should be practicing piano, something you decided for me. Never asking how I felt as years passed by and I still played off key. I preferred writing stories, characters mischievous. Now you never talk to me; you stopped. I used my talents and your boy Alex plays professional soccer. Writing stories in the paper about sports and other topics, I glean. I didn’t meet your standards; I lived my own dreams. Prompt: Take a line from a song that you love or connect with. Turn that line into the title of your post. If you’ve watched the music video for the song “The Scientist,” by the band Coldplay, you understand in the music video you experience the story of the ‘the scientist’ (Chris Martin’s role) in reverse. Martin the lead singer of Coldplay plays the ‘the scientist’ in the music video and begins the music video lying on a random mattress outside of a residence and he moves backwards throughout the entire day. We see ‘the scientist’ eventually return to a scene of an accident where his girlfriend was killed. She comes back to life and we are taken back to a point where she is taking off her jacket instead of putting it on, and doing up her seat belt, instead of taking it off. Hence, we know why the girlfriend crashes through the wind shield later — no seat belt. At the end of the music video, ‘the scientist’ and his girlfriend are a happy couple on a regular day driving. Martin sings, “I’ll take you back to the start,” at the end of each of the choruses and it’s because ‘the start,’ his time with his girlfriend before the car accident was wonderful.’The scientist’ merely wants to be with his girlfriend as before. ‘The scientist’ Martin plays, feels his love for his girlfriend and his desire to see his girlfriend is beyond the answers all scientific progress can provide him. He wants for science to help him, to make his girlfriend alive, but science doesn’t have that capability. He wants to hear is his girlfriend “tell [him she] love[s him].” ‘The scientist’ wants memories of his girlfriend to “come back and haunt him.” He wants everything to go back to the way they were before the car accident — at the beginning. It’s why he sings, “oh what a rush to the start,” at the end of this verse. In his mind ‘the scientist’ wants the past back. He can’t have it back because that’s not how science or reality works. You can’t go back to the past except through your memories. You can only live the present and look forward to the future. Coldplay’s song “The Scientist,” speaks of ‘the scientist’s wish for his memories to be real again, to be the present, to go “back to the start” and be with his beloved. For me, “The Scientist” is a distressing song and has always touched my heart. It makes me sad thinking about ‘the scientist’s’ predicament. What if you could return to the past and change something, would you, if science provided you with the capability? I think if nothing else, this song tells me that the whole concept of love and emotion is not scientific or not only. There is something about love and our desire to be with our loved ones, which goes beyond science and is a matter of the heart: “The heart has reasons which reason cannot understand,” as the saying goes. Listening to this song tells me even though people believe we as a society are advanced in science, we are not as advanced as we would like to believe. There are emotions and feelings science will never truly be able to explain. 3. It’s population density is 8.6 people per square mile, making Canada the ninth-most sparsely populated nation in the world. (Random Facts . “43 Interesting Facts About Canada.” Page 1. 2 Jul 2012. 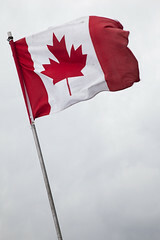 < http://facts.randomhistory.com/2009/01/15_canada.html >. 22 Feb 2009.